play iTunes movies on TV via Nexus Player. Google has announced the Nexus Player. It's the first device to run Android TV, the company's latest software platform designed to power set-top boxes, TVs, and even "microconsoles". Everyone wants to put a computer in your living room right now, and it’s not hard to figure out why: people spend more time in their living room than any other room in the house. It’s where we watch TV, where we entertain guests, and typically it’s where the biggest screen in the house is. Google’s attempts to put a device in your living room have failed, until finally the company struck gold with the Chromecast. In many ways the Nexus Player is an extension of Chromecast -- there is even casting support. Google has teamed up with Asus to bring us a device that not only streams media, but also streams games from phones and tablets. And this aims to be more than a console for casual gamers; there's even a gamepad that's very reminiscent of the Xbox One controller. The Nexus Player, like the Nexus 9, is available to pre-order from 17 October and will ship 3 November. 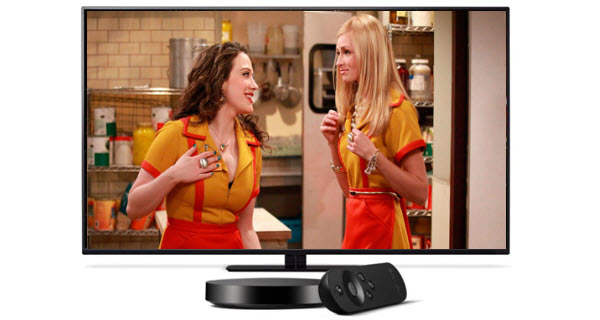 Google has confirmed that the Nexus Player with remote will cost $99.99, and will come with $20 of Google Play credit. The optional controller will cost $39.99. No matter how powerful Nexus Player is, it will not be able to stream iTunes content like iTunes movies, TV shows. Becuase it is not an Apple TV. Movies and TV shows that you purchased and rented from iTunes Store are limited to play in Appple ecosystem. in order to enjoy iTunes movies TV shows on your HD TV via Nexus Player, you need to remove DRM protection and convert the video files to Nexus Player supported video format. Since it supports screen mirroring from a Chrome browser, you can simply open a new tab in chrome browser and drag the converted iTunes movies or TV shows to the address bar to play. NoteBurner M4V Converter Plus (For Mac & For Windows) adopts an innovative DRM decrypting technique which makes it possible to unlock iTunes DRM videos with lossless video and audio quality. It will help you to directly crack the DRM iTunes video and convert both iTunes purchased and rented videos to Nexus Player supported formats and keep iTunes rentals forever! The following is a detailed tutorial about how to convert purchased or rented iTunes movies/TV shows to Nexus Player using NoteBurner M4V Converter Plus. Please download this useful tool on your Mac pc or Windows PC first before getting started. Step 1: Add Movies/TV Shows from iTunes. Launch NoteBurner M4V Converter Plus, click on the Add Movies button, then you will see the pop up windows which will show you all the iTunes purchases and rentals. This iTunes DRM removal software enables you to add your iTunes video from the needed media catalog such as Movie, TV Shows, Podcasts, etc. Step 2: Custom output video according to your need. The added video will show up on the main panel after adding. Then you just need to choose the right output format according to your need from the output profile list. The left picture below illustrates Windows verison while the right one illustrates Mac version. Step 3: Remove DRM and Convert iTunes Movies/TV Shows to Nexus Player supported MP4. When finish customization, click on the Convert button at the bottom to start the conversion. There will pop up a window for you to choose output location. Check Open folder when conversion completed and click Start to start the video conversion. Then you just need to wait till the conversion completed. When it is done, you may refer to the following tutorial to stream the converted video files to your TV via Nexus Player easily. Just have fun! *Download Google Cast extension for your Chrome Browser. The Google Cast extension enables you to find and play content on your Chromecast device from your Chrome browser. Once installed, the Cast Extension is located in the upper right hand corner on the Chrome toolbar. *Open a new tab in chrome browser and drag the converted iTunes movies or TV shows to the address bar. Chromecast will cast them to your TV. Google Cast supports the following media facilities and types. 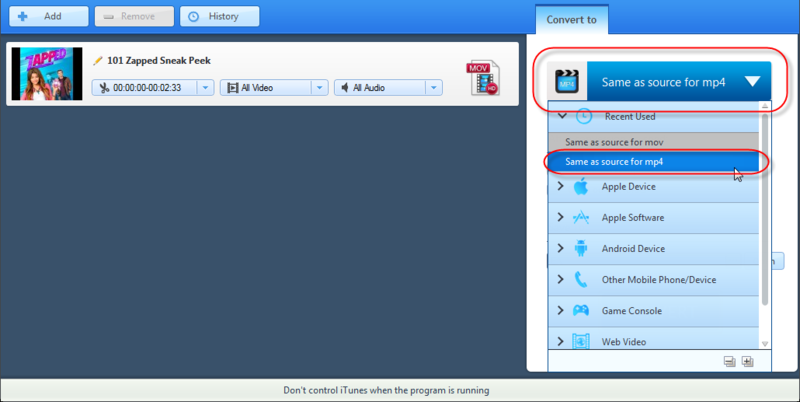 Note: Both Mac users and Windows users can stream iTunes Movies with Chrome Browser. IMPORTANT！ To do this, you can enter file:///C:/ in Chrome’s address bar (or (file://localhost/Users/yourusername on a Mac), and then drag and drop the file into Chrome—or press Ctrl-O or Command-O—to show your system’s file browser. Hit the Cast button either before or after you choose the file you want. For Google Cast extension, you can set the quality to High (720p) or Extreme (720p high bitrate) to get a reasonable video quality on a full HD TV. What's next? 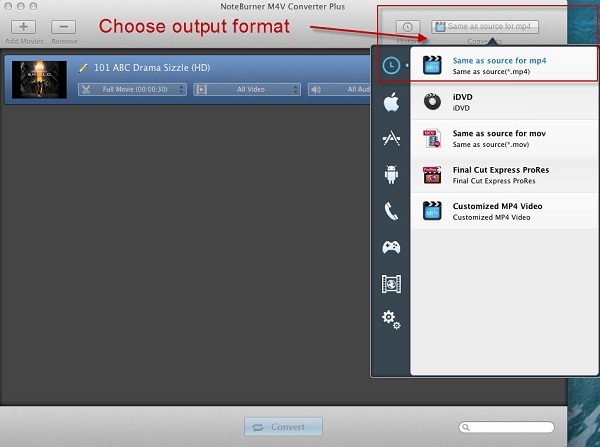 Download NoteBurner iTunes Movie to Nexus Player Converter now!